Is a fake site run by a Romanian scammer. Flexible Shipping Inc. offers a transfer service for the transfer of the vehicles title from the seller to the buyer. The main advantage of this service for the seller is that the buyer does not have possession of the title prior to the seller receiving the payment for the vehicle. The main advantage of this service for the buyer is that the buyer can verify that the seller's title for the vehicle is on hand with an independent party, Flexible Shipping Inc., prior to releasing the payment for the vehicle to the seller. The buyer and seller agree to use the Flexible Shipping Inc. transfer service for title transfer. The seller sends the vehicles title signed over to the buyer to Flexible Shipping Inc.. 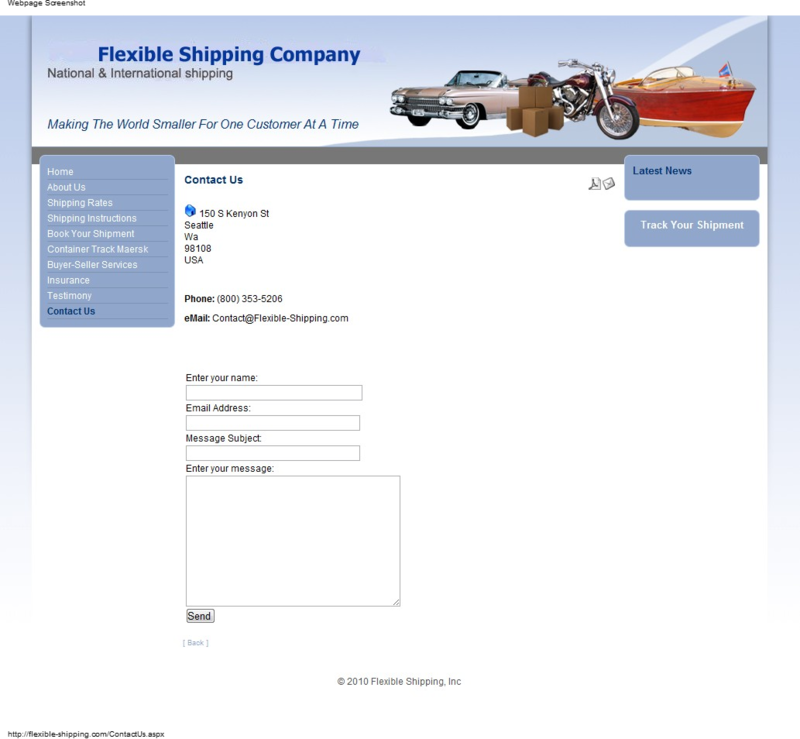 The title should arrive at Flexible Shipping Inc. along with the vehicle. Once the seller received payment for the vehicle, the seller is required to contact Flexible Shipping Inc. within 24 hours to authorize the release of the title to the buyer. Flexible Shipping Inc. gives the title to the buyer and takes care of the paperwork that needs to be done for registration etc. In response to numerous customer requests, Flexible Shipping Inc. now offers an optional independent third party transfer service. The majority of our shipping customers are purchasing or selling a vehicle and are looking for a means to transfer the payment for the vehicle from the buyer to the seller. The main advantage of this service for the buyer is that the seller does not have possession of both the vehicle and the buyers funds at the same time. The main advantage of this service for the seller is that the seller can verify that the buyers payment for the vehicle is on hand with an independent party, Flexible Shipping Inc., prior to releasing the vehicle to the shipper. The buyer and seller agree to use Flexible Shipping Inc. for payment transfer. The buyer transfer the funds to Flexible Shipping Inc. in order to begin the shipping procedures and take the vehicle of the market. The funds should arrive at Flexible Shipping Inc. within 24 hours. Please contact us for payment terms and details needed. Upon receipt of the funds, Flexible Shipping Inc. notifies the seller that the funds are on hand with Flexible Shipping Inc.. Flexible Shipping Inc. ship the vehicle , a tracking number will be provided to the buyer. Flexible Shipping Inc. will only release the funds to the seller upon notification by the buyer after the standard 5 days inspection period (not the seller). Flexible Shipping Inc. is responsible for verifying the pick up and delivery of the vehicle. After the buyer has inspected the vehicle and agreed to buy it, Flexible Shipping Inc. sends the funds to the seller and takes care for the buyer of the paperwork that needs to be done for registration etc. The charge for the Flexible Shipping Inc. transfer service is included in the shipping fees. Flexible Shipping Inc. transfer service is like an escrow service. 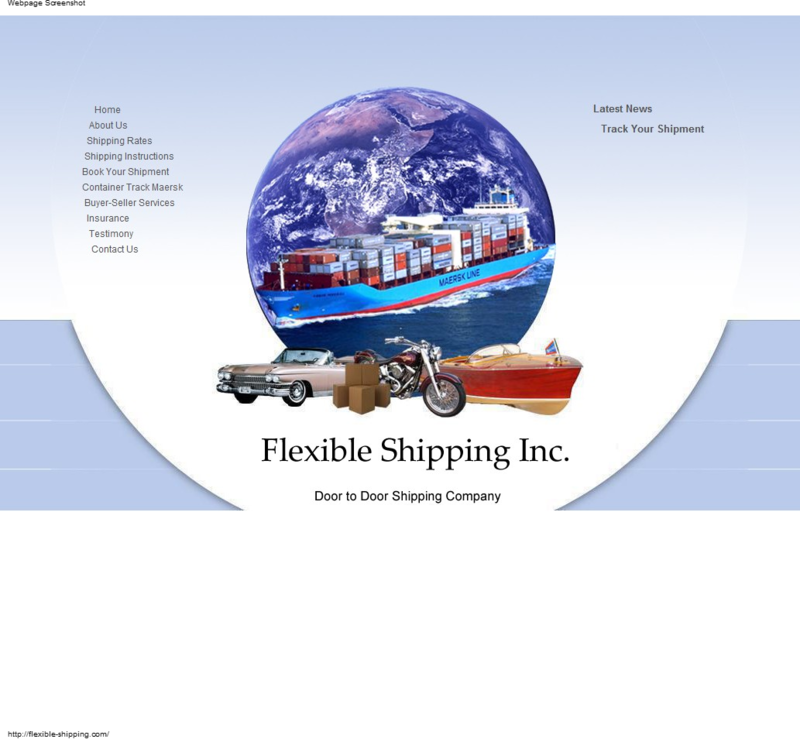 Flexible ShippingInc. is guarantying the validity of the funds or title we receive from the buyer or seller in any way. Flexible ShippingInc. is simply providing an independent third party transfer service, which means we assist with the transfer of funds between the buyer and the seller. Receipt of agreement by Flexible ShippingInc. from either the buyer or seller for the payment and/or title transfer service, confirms that both the buyer and seller agree to use these services and that both the buyer and seller concur with the terms and conditions of these services.